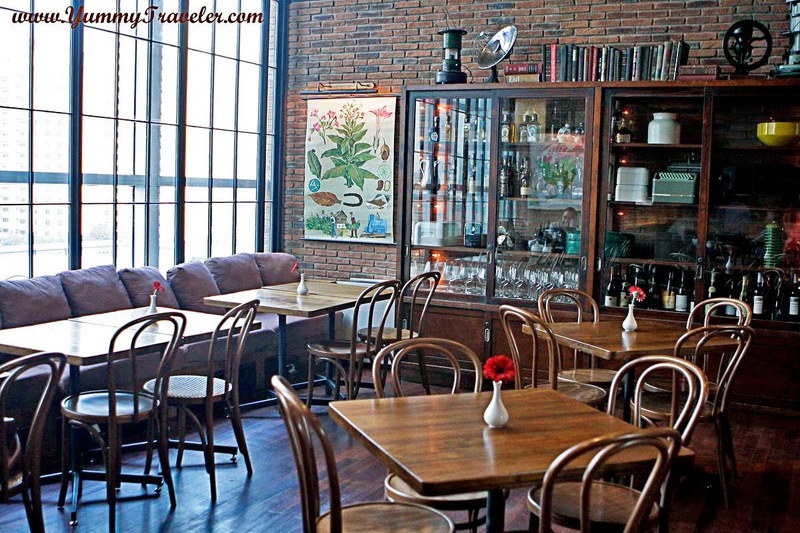 I know maybe Canteen is already your favorite spot for hangout in Jakarta. But did you know that the one in Pacific Place has just been revamped? 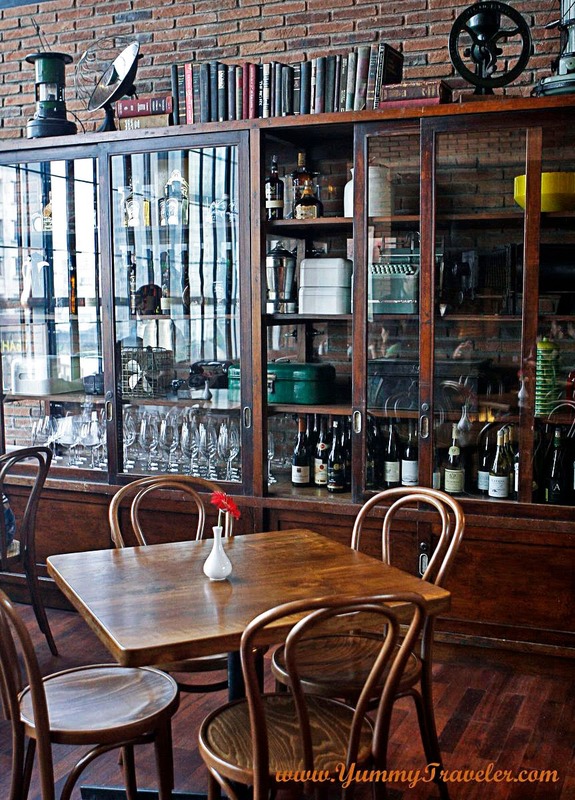 Bigger space, newly improved menu, what else could you ask for? That day I'm invited by Canteen to try some of their menu, and here they are ! 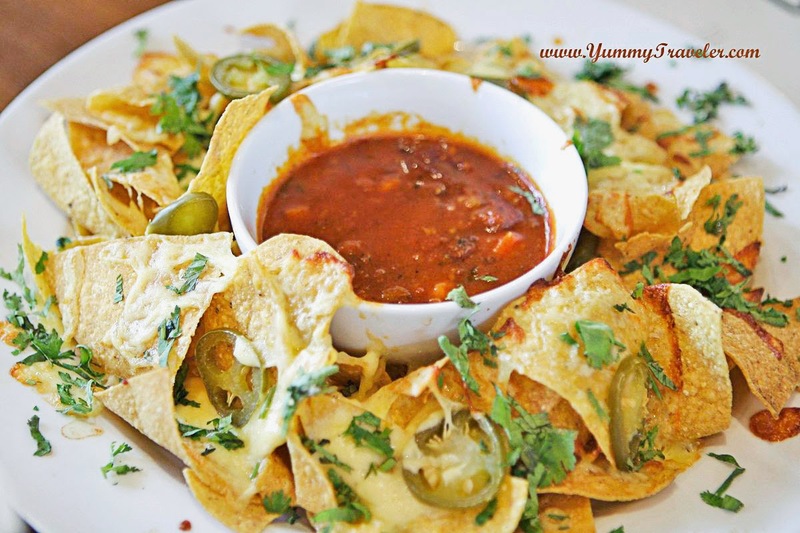 We started with Nachos with Jalapenos and Chili Con Carne - IDR 65.000,-. This classic appetizer are loaded with Jalapenos and Cheese, and don't forget to dip in to their homemade chili! It was good and a perfect starter. Then next appetizer is CFC ( Canteen Fried Chicken ) Wings - IDR 50.000,-. 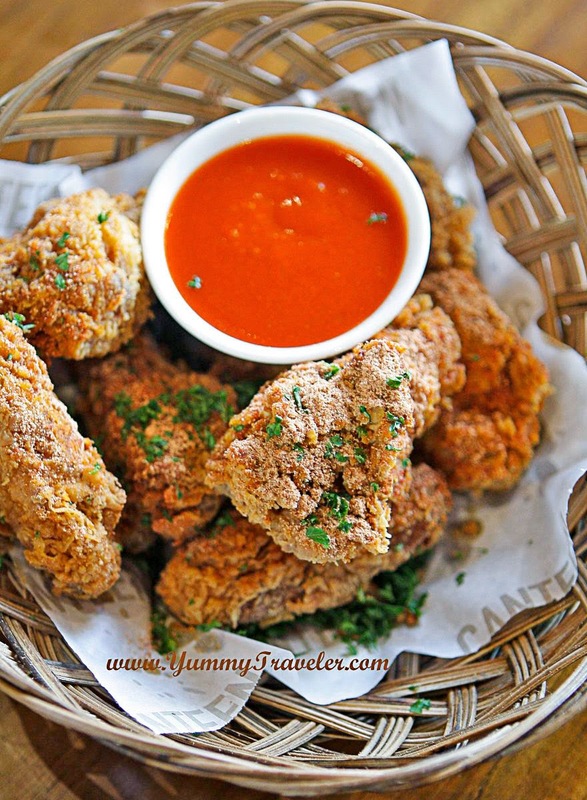 This fried chicken is quite addictive! Crispy on the skin and juicy inside. They also put some sweet spicy seasoning on the skin. 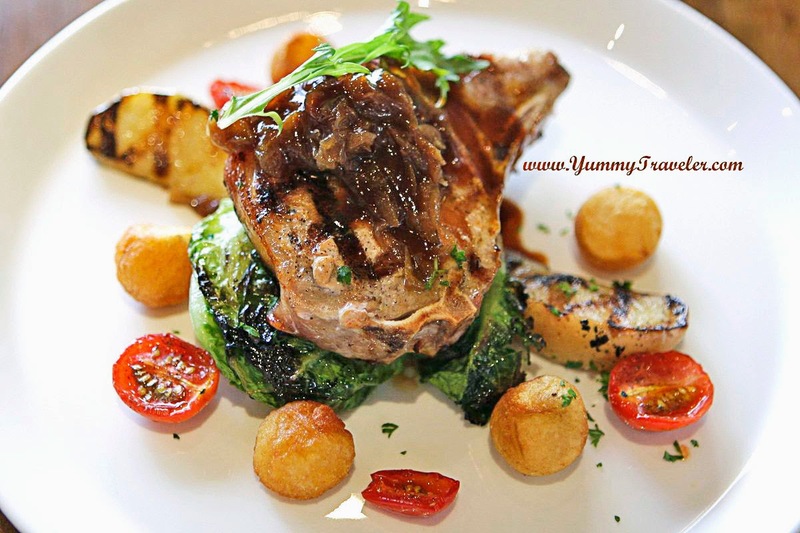 Then we're heading for the mains, Pork Chop with Onion Compote, Apple, Grilled Baby Lettuce Romaine and Baby Potatoes - IDR 135.000,-. This is one dish you can't missed !! The pork chop was cooked perfectly! It's juicy, and I love the sweetness kick from the onion compote and apple. Yum! 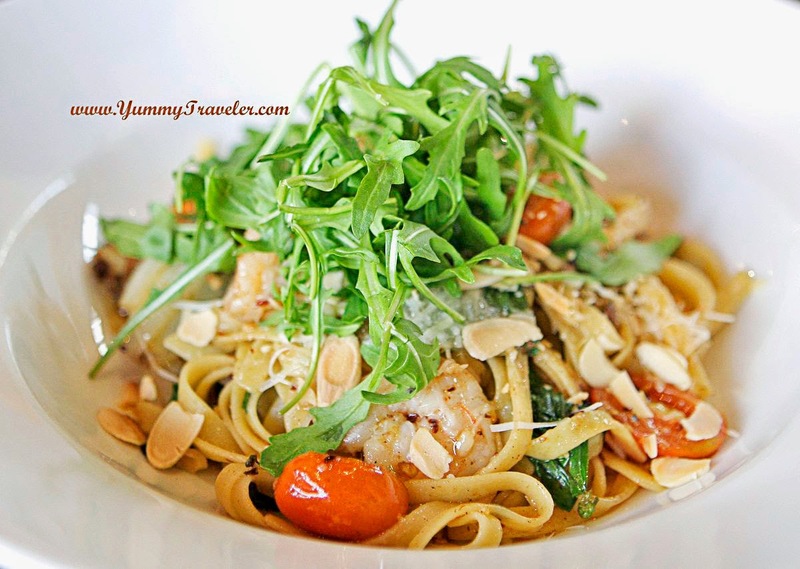 Next is Spicy Prawn Fettuccine with Cherry Tomatoes and Basil - IDR 80.000,-. I love how they mixed the pasta with rocket and some nuts, because it gives a nice crunch to it. However I think they need more seasoning of the pasta, because it's not spicy at all. 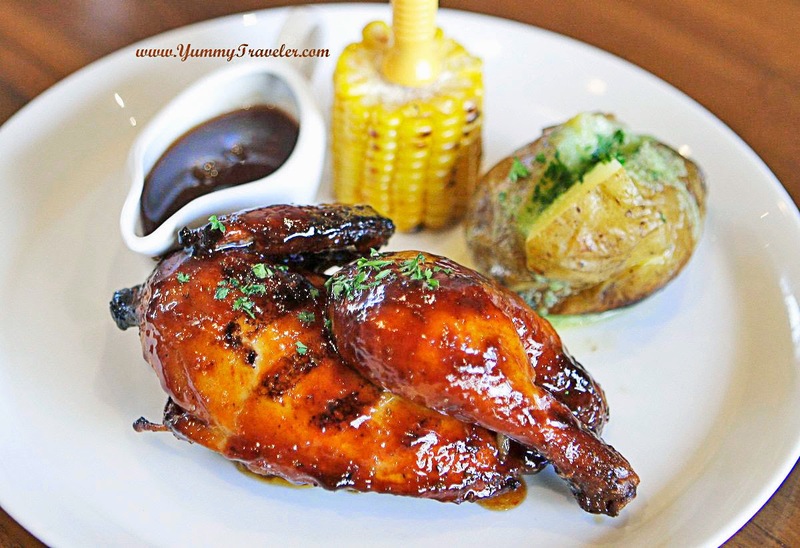 Last mains is BBQ Chicken with Grilled Corn and Baked Potato - IDR 95.000. I really love this chicken! The meat is still juicy, and the BBQ sauce wasn't too tangy. Just perfect. Always save room for dessert! This one is Chocolate Platter - IDR 55.000,-. This is a dessert that you can share ( or not ! ) 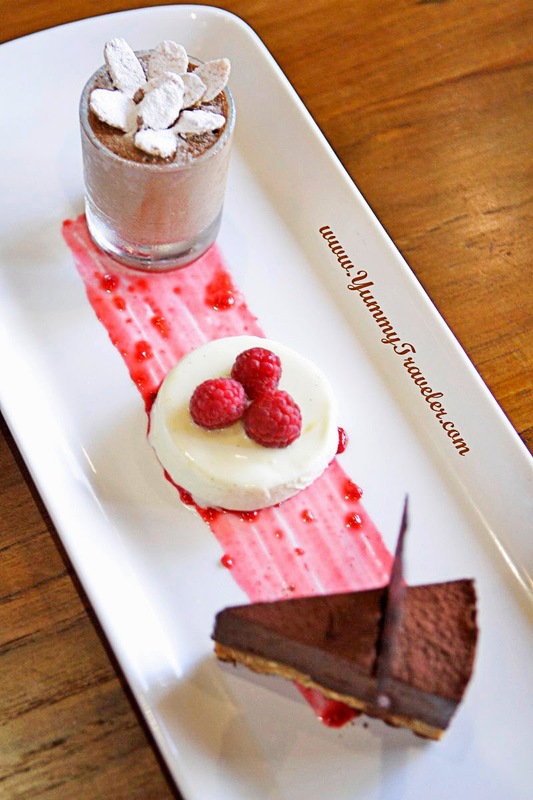 with your dining partner, because it consist of Dark Chocolate Pie, White Chocolate Pannacotta and Dark Chocolate Mousse. Both of the Dark Chocolate Pie and Mousse was really- really indulging! You will keep on digging in ! The Pannacotta also nice and balanced with fresh raspberries on top. Looking for something unusual, you definitely have to try this ! 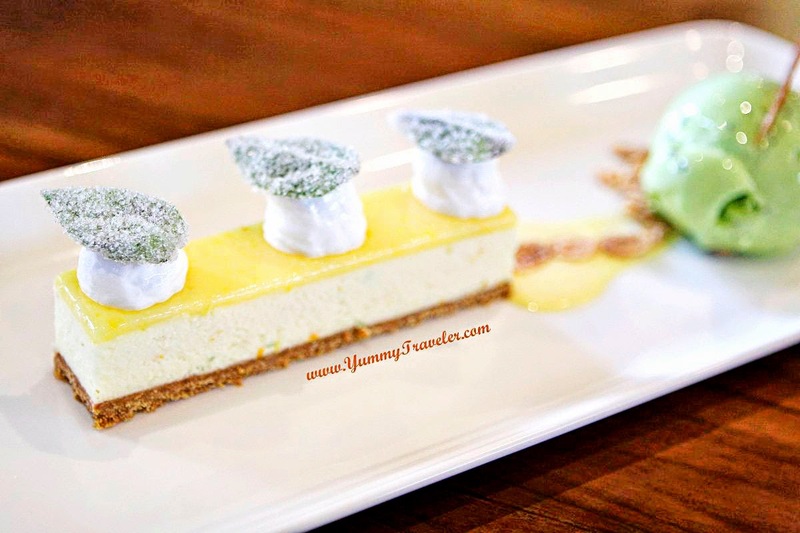 Citrus Tart with Italian Meringue and Basil Lemon Ice Cream - IDR 55.000,-. Yessss! It's Basil Ice Creammmm ! It's actually pretty interesting, but I personally think it needs to be more sweet and creamy, since the taste is more like eating raw basil. Too strong, however it's pretty cleansing your palate. The tart has nice tangy sweet flavor, but the cookie-based needs to be more buttery and soft.